This article has had over 90,000 views! Thanks for reading it. Rooting your mobile device allows you to do things which are not possible on a normal smartphone or tablet. Carriers normally prevent access to root-level files, because you could delete essential files or cause others problems. Unfortunately this limits what you can do with your mobile devices. You bought it and you should have the right to do whatever you want with it. There are some compelling reasons why you should consider rooting your device. Free Tethering – You already pay for a mobile data plan and shouldn’t you have to pay more to share your cellular connection with your other devices. Just download a free tethering app, and in seconds you’ll be able to share your phones cellular modem with your tablet, laptop or other devices. Now you can access the Internet from your tablet even when a Wi-Fi hotspot is not available. Wi-Fi isn’t your only option, you can also tether your devices over Bluetooth, or by connecting a USB cable. 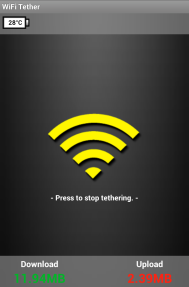 Although you don’t need to root your phone to run tethering apps like FoxFi, ClockworkMod Tether or 1-Click WiFi Tether, some of the best tethering apps only work on rooted phones. Delete Carrier Bloatware – Carriers load your phone with lots of apps you’ll never use. These apps consume storage space, memory and other resources. After rooting your phone, it’s easy to delete carrier-installed apps you don’t want. Although there are several ways to do this, I recommend you download Titanium Backup. This app allows you to uninstall any app with a single click. Eliminate Banner Ads – Apps like AdFree remove most advertisements that appear in your browser and other apps. This is done using a blacklist which blocks ads before they can even download data. Now you can play Angry Birds and most other apps ad-free. This is a big deal, because it means you can get one of the biggest benefits of paid apps for free. Backup Everything on Your Phone – Apps like Titanium Backup allow you automatically backup everything on your phone. This includes protected apps, system apps and data on your SD card. If you purchase a license key for Titanium Backup you can upload your backups to your free Dropbox account. This makes it easy to restore a backup from the cloud if your phone is ever lost or stolen. Make Your Phone Run Faster – Apps like SetCPU allow you to overclock the speed of your processor to make your phone run faster. More info. Increase Your Battery Life – Custom ROMs and apps like SetCPU increase the battery life of your phone. In some cases the difference is significant. For example, a Nexus 7 running a CyanogenMod ROM gets up to twice the battery life of an off-the-shelf Nexus 7. Install Custom ROMs – After you root your phone, you can install custom ROMs which give your phone better battery life, faster performance, custom themes and additional features like special audio processing. Cynanogenmod is the most popular aftermarket firmware. It has a new installer that is very easy to use. Run Any App You Like – Once you root your phone you’ll be able to install any app you like. This includes apps that have been blocked by your carrier, or banned by Google. Run Apps on Your SD Card – Most mobile devices do not allow you to install or move apps to your SD card. By doing this you free up internal memory. Perform Other UI Tweaks – Want to remove the search box from your home screen and replace it with a search button? No problem. What about adding back a menu button to the main screen of your phone. Again, no problem. Do a Google Search or check the XDA Developers forums to learn more about these and many others UI tweaks. Rooting Voids Your Warranty – Although it’s true rooting your phone could void its warranty, if you restore it to its original factory condition, it’s unlikely your carrier could tell it was ever rooted. It’s Easy to Brick your Phone – Not true. Most Android phones are not easy to brick, if you carefully follow directions. Rooting is a Cat and Mouse Game – Not true. Once you root your phone you normally won’t have to do it again. Rooting is Difficult – Although it varies from phone to phone, rooting your phone isn’t as hard as it once was. In fact, one-click rooting apps are available in the Android Market. Rooting Will Make Your Phone Less Stable – Not true. When done correctly, rooting your phone will not make it any less stable. Rooting Makes It Hard to Transfer or Sell Your Phone to Another Person – Not true. I recently gave my rooted Galaxy Nexus to my son. He inserted the SIM card which was provided by Verizon for my new phone and then called a toll-free number to activate it. He then reset the phone (to wipe out all of my info) and rebooted (entering his Google account info). Withing 15 minutes, all essential services were functional on his rooted phone, and the phone was automatically downloading all of his apps. You Can’t Root a Phone With a Locked Bootloader – Not always true. A friend just rooted his Verizon Samsung Galaxy S3 even though it has a locked boot-loader. Instructions can be found here. Although rooting your phone isn’t as dangerous as most people think, it’s not for everyone. Here are some risks you should be aware of before you root your phone. Rooting Could Be Illegal – Back in July of 2010, the U.S. federal government recognized the legality of jailbreaking a phone. Unfortunately starting on January 26th of 2013, it officially become illegal” to unlock a phone without your carriers permission. It’s still to soon to know whether this applies to all rooting, but it does not look good. Carriers like T-Mobile recommend customers contact their device manufacturer or AT&T directly to request the unlock code for their device, but don’t be surprised if these aren’t easy to get. Rooting Isn’t for Everyone – Although there a one-touch rooting solutions, I wouldn’t say rooting is easy yet. Some phones are easier to root than others. Make sure to do some serious research to find if others with your model are having good results when they try to root them. Rooting May Prevent You from Getting Updates – If you root your phone you may no longer be able to download and install over-the-air operating system updates. This was a problem for me when Verizon released Android 4.0.4 and 4.1 updates for my phone. There is a way around this, but it’s not easy. This issue affected my Samsung Galaxy Nexus — but probably applies to all Android phones and other carriers. 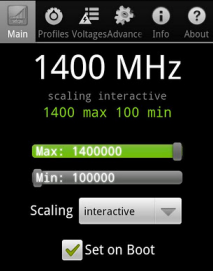 Overclocking Can Cause Damage – If you overclock your phone too much you could cause it to overheat. You could even damage its processor, although some phones have safeguardus to prevent this. You May Need to Wipe Your Phone – In some cases you have to wipe your phone when you root it, so make sure to copy your media off of your phone. It’s also a good idea to make screen shots of all of your home screens and app page, so you can quickly restore your device to the same look and feel you had before. Issues With Some Media Rentals – You could receive an error when attempting to play a rented movie on a rooted device. Legal Risks – And last, but not least, the use of tethering software may violate your carrier’s Terms of Service — whatever that means. I’m unaware of anyone who has been prosecuted because they unlocked or rooted their phone. Make sure you have step-by-step instructions for your exact model of phone before beginning. Make sure you have everything you need before beginning. This includes software drivers, ROMs, required apps, etc. Make sure to create a backup of your phone and all of its data before you root it. Some backup software doesn’t automatically backup all of your music and photos, so you might want to manually back those up. Make sure you know how to restore your phone to its original factory state if you don’t like the result of the rooting process. Even if you brick your phone, you can often restore it to its original factory condition. Here are some steps how to do this. Although these apply to the Samsung Galaxy S III, the information here applies to other phones as well. Try to find someone who can help you if problems occur. Your carrier will not help you if things don’t go right. Important: If you have any doubts after reading this, do not proceed until you can find someone to help you. I cannot help you, nor can I assume any responsibility for bricked phones. Although rooting is still too technical for many users, the process is getting easier. Unfortunately, you may now need an unlock code from your carrier to legally unlock your phone and you are unlikely to get that unless your contract is up. Rooting your phone for the first time can be scary, but I believe the benefits far exceed the risks. In the six months since I first rooted my phone, my experience has been 100% problem free — with one notable exception. When Verizon released OS updates for my rooted phone, I was unable to install them. Although I was able to find a solution to the problem online, it wasn’t simple, and required me to either restore my phone to stock, or wipe it and manually install the software update. Although major OS updates don’t happen that often, this is something to consider before rooting. Awesome article, thanks for putting this together Rick, really helpful information. My Nexus S has been slowing down like crazy particularly since the last OS update and there’s an app thats been recommended to me to free up some more RAM (Auto killer Memory Optimizer) but it requires the phone to be rooted for best results. I was nervous about doing this but I’m going to follow your advice and checklist and try it out. Thanks! If android issue new version in future, can i just go ahead and and updated it If i have rooted my phone (currently runs on Jelly bean)? Or do i have to do something to the kernel and rom before i can can update to newer version? I’m not an expert, but once it’s unlocked and rooted you should be able to update to any version by copying the files to your device. Booting into fast-boot (using CWR) doing a factory refresh and then installing the new software. Make sure to confirm this using Google, and follow the detailed instructions carefully, because I cannot be liable for problems that anyone has with this. Thanks for your reply. If something goes wrong with my device, I may be cursing you a little bit, but for sure wont hold you liable. LOL!! Again, thank you for your unbiased posts. Only the facts are what interest me. Is there a way t get paid apps completely free? Yes, but I wouldn’t recommend it. Sideloading apps is how many Android users get malware. Besides most apps are so cheap its not worth it. If you download Google Opinion Rewards in the play store, you can take surveys that are under a minute and they’ll give you free play store credit. I use it to buy music and apps on there all the time. Much better than handing them your credit card info. Thanx Rick….. I got many problems when rooted my HTC Explorer like touch,hanging,mobile data connection problem etc,,,,. But I don’t know its illegal,,,, Now I can save my xperia miro. This was actually very helpful. I rooted specifically for getting rid of bloatware on my HTC One and decided to do a follow up before deciding to single handedly delete them one at a time and thinking I can pretty well do anything! Not really haha. But thank you very much Rick. Very well written. If I rooted a Sprint Galaxy Note 2 would it allow me to move over my SIM card from my Verizon Galaxy Note 2? Theoretically this is possible but in reality I’m told carriers don’t allow this. The only exception I’m aware of to this rule are using unlocked phones like the Nexus 5, but that phone doesn’t work on Verizon’s network (yet). I’ve rooted one of my LG Optimus V (Virginmobile) phone before, but that phone didn’t have service on it, I just used WiFi on that phone. I have a second LG Optimus V but this one has service (a plan). I was wondering if I rooted the one with service on it, can I still pay for it (the phone bill). The FCC wants control of something yet they cant stop fraud and scammers stealing our credit card information, I would fart to the wind tell them to catch it then they can fine me for it. The Carriers already rip us off for what they charge. Rooting can be ilegal but and can be punished by las. O.k. and what happen when you buy a tablet like son y xperia that do not update android since versión 4.1.1?. This is not ilegal?. So you take tour tablet to a museum?. This is by far the most Helpful diagnosis on rooting article I have ever read, kudos to you my friend, kudos to you.. I don’t have an answer to your question, but you should be able to find one on the XDA website. Hi, having problems with Kingo Bootloader preventing me from getting into Recovery Mode and formatting my phone. Anyone had similar issues? How do i go about removing this bootloader or is it a problem some place else? i have tried both hard and soft resets and phone just boots into Kingo Boot, then reloads and nothing has happened. Its a Samsung S4 Mini LTE on Android 4.4.2. Thanks! Hi Rupert. I don’t have an answer to your question. If one of my readers doesn’t respond, you might want to check XDA or Kingo forums. hey so Its making me root my phone to recover lost photos and videos is this a good idea ? That depends. Your phone will be less secure if you root it. You won’t be able to use software like Android Pay. Make sure you trust the software and or company that is asking you to root. If you root, don’t install APKs from untrusted sites. You could get a virus that is almost impossible to get rid off. I’m not entirely sure if this thread is still alive, but I figured I would try. I’m considering rooting my Straight Talk Galaxy S3, but I’m a bit apprehensive. I was wondering if there is any risk to straight talk canceling my service if I root it. I’m not concerned about legality our warranty stuff, I just need to know my phone will work like a phone when I’m done. I would be very surprised if your phone did not work like normal after you root it, however there are problems associated with rooting. On all devices that I’ve rooted, I stopped getting over the air software updates. To make matters worse your phone continuously notifies you an update is available, but when you try to install it, it fails. This issue goes away if you install the update manually, but that’s easier with some rooting software than others. I would see what rooting software is available for your device. I would also Google “Straight Talk Galaxy S3” and “rooting problems” and see if there are any other issues to be aware of. I would also consider that benefits of rooting vs. the risks to make sure it’s worth it to you. if I root my 4G LTE LG Leon will my cellular data be gone? No. Rooting should have no impact on cellular service. There is normally no limit.